As I’ve been venturing out a bit more each year in the area of gardening, I find I am surrounded by well-meaning, encouraging friends. I’ve heard more unusual remedies for a great garden over the last several years than I ever thought possible. Who knew that so many people had such diverse opinions about gardening? But when I began mulling over some of this well-meaning advice, I decided the best thing to do is what I always do...research. As a result, I discovered that when it comes to all of these ways to get more out of your garden with the fewest problems, there are all kinds of myths out there. How they got started, I don’t really know. But I found it interesting that I found a kernel of truth in nearly every bit of advice I was given. The problem, though is that much of the advice comes at the cost of unnecessary expense, physical exertion, and perhaps even a risk of ruining a perfectly good garden. So I thought I’d share with you some of the most common fertilizing myths that I’ve come across in the event you’re still apt to believe your grandmother’s counsel of using leftover fast food condiments, beet juice, or kitty litter in your garden this year. For starters, let's keep in mind that a lot of us are fascinated by old fashioned remedies for “this and that” nowadays. There’s a captivating connection for me as I read through old books and see how they got along with some of the most simple of methods. However, while I think that’s great when it comes to getting ourselves more independent with less fuss, understand that there’s a downside to such information as well. There are numerous old-fashioned remedies that were simple and effective, but in some cases they aren’t effective or simple in comparison to today’s advanced technology and science options. So keep your eyes open when it comes to embracing an “old wives tales”. Sometimes those wives were super sharp, but other times, I think they may have been hitting the moonshine a little hard. For starters, let’s look at the practice of using ammonia as a fertilizer. The earliest record I can find of such a theory is in 1870, actually. As it turns out, there is merit to this practice. Ammonia is comprised primarily of nitrogen and as such it does indeed provide nitrogen in a form that plants can use. However, I actually had a couple of folks suggest that I should even add it to my Miracle Gro. Uh, no. Miracle Gro already has nitrogen in it. Now here’s the rub though. Most folks just go to the store and buy what’s labeled as ammonia, when in fact there’s only 3 to 10 percent ammonia in the product, along with other things that AREN’T good for your plants. Most household ammonias can actually be toxic to plants, containing aqueus ammonia instead of the helpful ammonia ions. Another snag to this widespread suggestion is that when you combine the ammonia with your water, you’ll have an unpredictable finished product based on the pH level of your water and your soil. The pH level will impact how much ammonia is being absorbed, whether it’s too hot for the soil, etc. So, my suggestion, since there are too many unknowns to this practice, I’d say PASS. Go with something that you can actually control and be sure of when it comes to fertilizers for your garden. While we’re on the topic of fertilizers, let’s talk about using beer as a fertilizer. This one was quite the conundrum. I can understand how some might thing that the fermentation process of beer might provide valuable nutrients to the soil and plants, but the fact is, there is absolutely no evidence which shows the beer is a good fertilizer. In fact, since most beers contain alcohol, and alcohol is definitely bad for your plants, I’m definitely going to chalk this little bit of advice as that which would only come from a snockered gardener. Yes, beer does increase bacterial growth, but as master gardener Jeff Gillman points out in his many books on the subject, beer doesn’t get to control what kind of bacteria it proliferates. Good bacteria? Sure. But you also will get plenty of the bad along with it. So again… PASS. Are eggshells worth the hassle to use in your garden? Well, yes, if you’ve got them. And no if it means that you’re going to go through all of the efforts suggested by many such as boiling them and then letting them soak for a day and then applying that water to your plants. The content of calcium, potassium, phosphorus, and magnesium are so small that it takes a lot of egg shells to do you much good in your garden. But hey, having them as a part of your compost is better than a sharp stick in the eye. So yes, if you’ve got them, go ahead and crush them up and use them. They won’t hurt your plants and they will at least give them a slow-drip kind of nutrients. The good news is, though that you can still make good use of some other household items that will actually benefit your soil. High protein foods consist of amino acids which are full of nitrogen. So, if you’ve got powdered milk that’s way past it’s prime shelf-life, instead of throwing it out, work it into your soil in a 1 part milk to 4 parts water ratio. You can also use powdered buttermilk, butter, or other like protein items if they’ve expired past your palate’s ability to enjoy them. Unflavored gelatin is also high in protein. Though expensive as a garden fertilizer in my book, you can certainly use it as such instead of throwing it out. Usually 1 cup of water combined with one packet of gelatin gives a nice boost to your potted plants. One thing you should know though is that modern technology has made greater advances in the composition of fertilizers than the powdered food industry. (Go figure, considering no manufacture creates a food product with the intention of it serving as a fertilizer in the garden, right?) As such, while using these high protein solutions are better than nothing, chances are they aren’t necessarily better than the commercially created fertilizers. 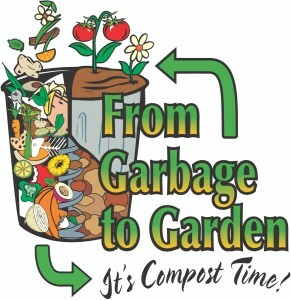 Instead, I’d use the older food products in my compost pile and stretch it further that way. So, go ahead and make use of this technique but only as an alternative to throwing away that big box of powdered milk you bought 10 years ago. 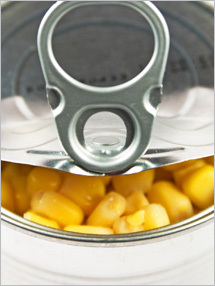 I DISAGREE WITH THE COMMENT ON SAVING WATER FROM CANNED FOODS. I FEEL THE AMOUNT OF SALT IN SOLUTION AS A PRESERVATIVE DOES NOT DO THE PLANTS ANY GOOD REGARDLESS OF YOUR EXPERIENCE I SAY PASS. OTHERWISE GREAT READ, KEEP UP THE GOOD WORK AND MAY YOUR PEANNIES PUCKER. You don't have to shout; we get it, you don't like to save your canned veggie water. From all of us here, please use appropriate capitalization. This was so timely for me, thanks! 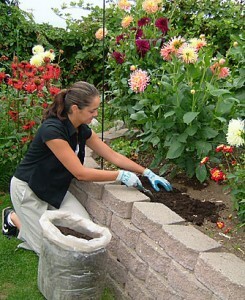 We're having a gardening class soon at church, this will make for good suggestions and topics to discuss! Yet again, your awesome. You are my go to person for everything preparedness anymore! The eggshells work wonders for keeping away those pesky tomato worms if u sprinkle crushed shells around the base of the plant. The sharp edges cut the worms so the won't come a crawlin! This is a great Idea! 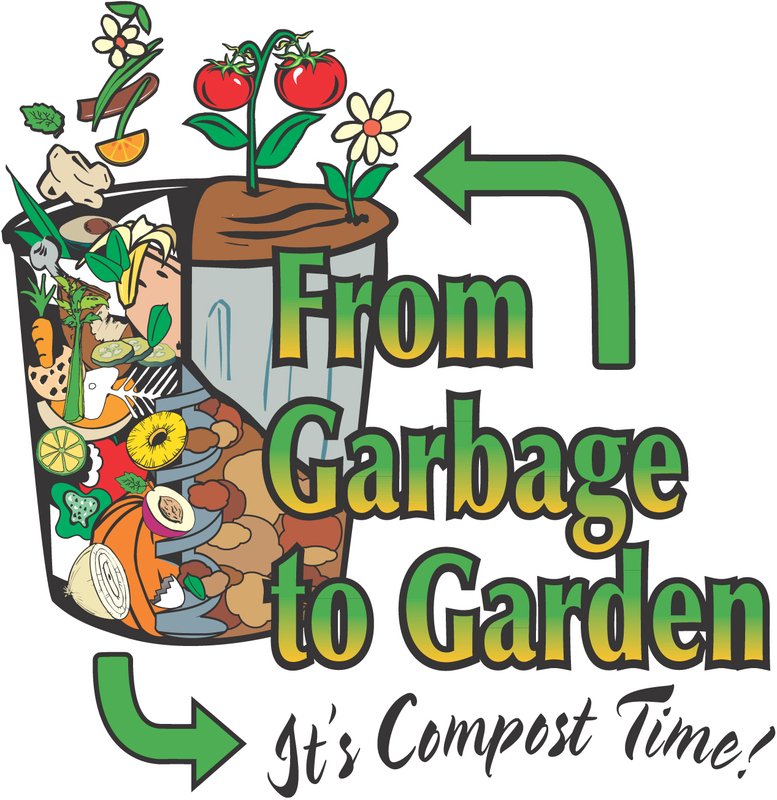 the combination of using egg shells in the compost and the water of the veggies is a great idea. I watched a y- tube video a long while back and this guy had a great idea of making compost tea. It wont burn and it's free! The directions if I can remember correctly is to fill a 5 gal bucket half way with water. Then grab one of those plastic bags you get while shopping and fill it with compost. Poke some small holes in the bag and then tie the top of the bag leaving the handles unknotted. Then take a stick or hanger and hang the bag from it and susspend the bag inside the bucket by placing the stick across the top. Leave for 24 hours and then pull out the bag. Viola! you are now left with compost tea and you can put in into a hose end sprayer or pump sprayer. One of the many things that I learned from watching the show Jericho is that you can make ice with fertilizer (i.e. ammonium nitrate). I often get migraines and one of my saving graces are flexible ice packs that I can wrap around my head. I get nervous thinking about a future without electricity and therefore no ice. I'm looking into other methods of making ice without chemical fertilizers but still good to know. it's the silica in the gelatin that is so beneficial for the plants. When I was a kid my Mom used gelatin on her house plants and it worked great. I am wondering how it would work with veggie plants outdoors.